Alaska Gov. Bill Walker wants to advance a proposal for commuter rail service between Anchorage and the Mat-Su — a project that's eluded planners even after being studied and talked about for decades. Walker tucked a $4.5 million earmark for the project into his capital budget proposal, which he released earlier this month. The budget, if approved by the Legislature, would transfer that cash from pots of money previously set aside for Glenn Highway repairs and the proposed bridge from Anchorage across the Knik Arm. To proponents, rail service offers an alternative to the sometimes-treacherous drive between Anchorage and the Mat-Su — and it's an increasingly appealing proposition given the Mat-Su's booming population. 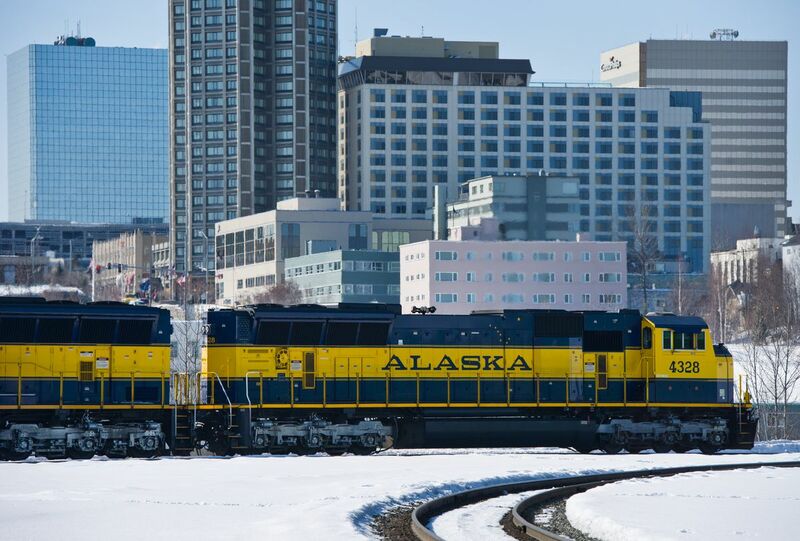 But there are still many hurdles — including the price tag — that could stop trains from rolling the 45 miles between Anchorage and Wasilla, said an Alaska Railroad official and one legislative leader. A 2002 railroad study showed that the yearly cost of commuter rail service could exceed $4 million, when the projections are adjusted for inflation, and upgrades to station infrastructure could also be necessary. 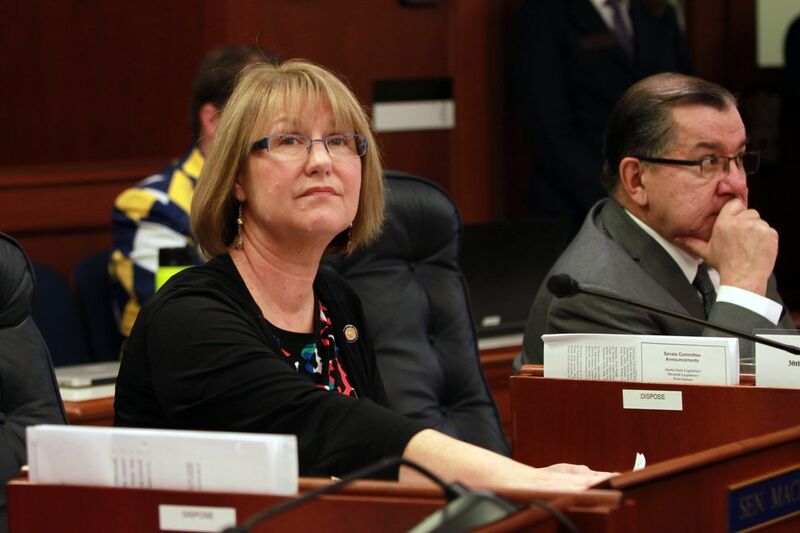 "The devil's in the details — and there's a lot of details," said Eagle River Republican Sen. Anna MacKinnon, the co-chair of the Senate Finance Committee who's responsible for the capital budget. "$4.5 million may be able to be used in a different way that would benefit more people, to a higher level, than studying a commuter rail route again." Walker's proposed cash transfer to the commuter rail project came on the penultimate page of his 21-page capital budget bill, and he didn't mention it in his flurry of budget announcements earlier this month. Spokesman Jonathon Taylor responded to a request for comment Tuesday with an email that cited changing demographics and the Mat-Su's growing population. "Gov. Walker is looking towards the future and ensuring our state has the infrastructure and resources Alaskans need to thrive," Taylor wrote. He added that any assessment and development of the project would include "direct and sustained engagement with interested and potentially impacted Alaskans." The proposed $4.5 million earmark could be spent on traffic and other studies, right-of-way acquisition and work on rail lines, stations and other infrastructure, according to an unpublished Walker administration budget document obtained by the Anchorage Daily News. As for the Alaska Railroad itself? "It's something that the railroad thinks can and should be done," said spokesman Tim Sullivan. "We've heard interest from the governor's office and it is fair to say that we are very interested in playing a part, and seeing what we can do to make this happen." But Sullivan was quick to point out that commuter service would have to rely on subsidies — a potential problem given the railroad's shaky financial position. Earlier this year, the railroad said it was eliminating four dozen positions — 8 percent of its workforce — in the face of diminished revenue.